minutes’ walk from downtown, shopping, restaurants, night life, local attractions and scenic Signal Hill (view from top floor). My husband and I love to travel, giving us a unique perspective on what it takes to create a comfortable and pleasurable stay for the weary travelers and adventure seekers alike. Along with our love of travel, Robert and I love boating, fishing and hunting. Robert has a passion for restoring old properties, and meeting interesting new people, while I am passionate about art, languages and adventure in general. We would love to help make your experience here an unforgettably delightful one. It has convenience, comfort and style all wrapped up in one winning package. -Spacious private garden -spacious jetted tub -washer and dryer conveniently on site. -contains all seven appliances all stylish and new. -attractive stylish design -proximity to festivals, parks, shopping, nightlife, restaurants, churches, and attractions and public transport. assortment of novels, books, DVDs, Smart DVD player. TV. Basic pantry items only. Guests must supply their own provisions. Has cooking utensils, pots, pans, bowls, dishes, cutlery. Toaster, coffee maker, kettle, blender. stocked with very basic pantry items, guests must provide their own provisions. internet radio on cable, and also Bose speaker dock system. community pool at the park during the summer months. Beautifully decorated and a very warm feeling in the house. We had a lovely time and as this was our second time there. I fully recommend it as the place to stay.. You are very close to shops and night life. We enjoyed being downtown St Johns. The house was very clean and the host readily available, she left lots of information and immediately solved a minor problem for us when asked. The house had a very nice small back yard with table, chairs and bbq. All necessities, plus some luxuries available to us. My only other comment would be that two of the three main bedrooms had double beds. We had a fantastic time in St John's and this place was perfect! There were 5 of us and the 3 bathrooms were great to have. The double beds were a bit small for 2 adults but we managed fine. The location is like a 10 minute walk to George St. and even shorter walk to other restaurants and cute little shops. Parking was right out front and we never had a problem finding a parking spot. There really is no need to drive downtown from this location, unless it's raining. The house was equipped with everything you would need....even toiletries! The backyard is beautiful and a great place to enjoy a few drinks. I'd definitely recommend this home if you are looking to visit St. John's! We we're three women and found the accommodations worked well for us with the 2 1/2 baths, 3 bdrms, and walking distance to most things. Would recommend this to anyone looking for downtown accommodations. 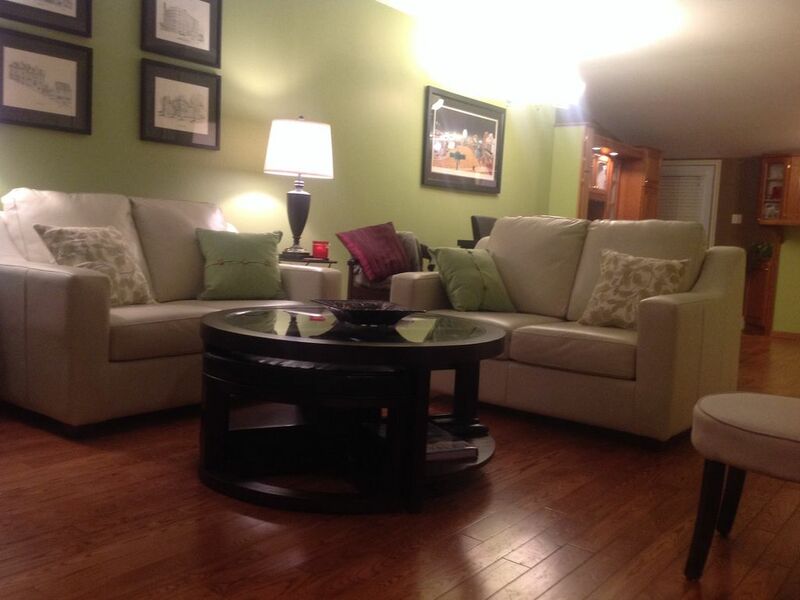 Extremely well maintained St. John's row house in the heart of the city. Spotless and very comfortable. Well appointed with everything you could possibly need. Owner is a true Newfoundlander going above and beyond. An amazing experience. Great location for walking to all the cafes, pubs and restaurants in the downtown area. Highly recommend this property. Thanks Ray for staying at Rice House, It was great meeting you and hosting your stay. Rice House is a lovely little house with new bathrooms and nicely decorated. Centrally located makes this a prime spot but with a very quiet neighbourhood. We made use of the kitchen and cooked some of our meals, it has all basic utensils except for lobster crackers, but you make do when on vacation. You will love this spot. Some points of interest below. Cancellation Policy: If Guest wishes to cancel their reservation, the deposit will be refunded as follows: 25% if cancelled 46 days prior to the Check-in date. 0% if cancelled 45 days prior to the Check-in date. If guest cancels or the balance is not paid on time (45 days prior to check-in), the deposit cannot be refunded and the booking will be automatically cancelled. Maximum occupancy included in rate is 6 guests/ 3 beds usage. There is a fee for additional beds/ guests.